Play the standard table or VIP table (pictured). Banker, Player, Tie and optional pairs side-bets offered. 7 seat multiplayer blackjack dealt from an 8 deck shoe. Dealer stands all 17's and Blackjack pays 3:2. 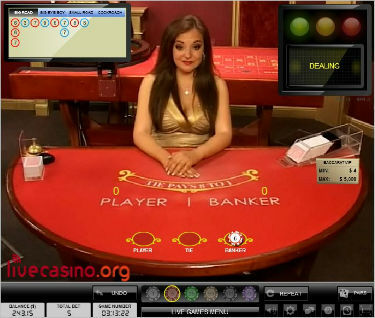 No problems getting a table even during busy times as Party Casino has a dedicated blackjack table for its members. All use Cammegh wheels and have highly customizable video screens. 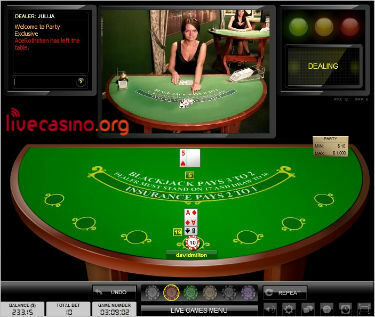 Party Casino is part of the world's largest online gambling business, bwin.party which was formed when Bwin and Party Gaming merged in 2010. Size does come with certain advantages for players including levels of service & support as well as promotions offered on a regular basis...particularly in the VIP player realm. While other casinos are giving away iPods and iPads, these guys are running prize draws for toys like a new Porsche 911 Carrera (real not model! ).